Happy Lemmings Day everyone! In commemoration of this occasion, I have decided to reveal the true nature of the levelpack I have been making. The name of the pack is ArtLems, and it truly is a pack unlike any other. This pack doesn't just give you levels that get progressively harder. This pack actually takes you through the various art periods that have occurred throughout history! Each rank is a different art period, and all the levels in the given rank take on the visual characteristics of that art period. The music for each level in a rank also comes from that art period, or at least sounds like the music from that period. Here's a brief overview of the different ranks. The oldest of the art periods. Here, the levels are modeled after ancient civilizations and structures, as well as scenes of nature untouched by intelligent life. Since there is no music existing from this time period, all of the songs from this rank are simply reminiscent of the settings of the levels themselves. A few of these are advanced tutorial levels, but you'll get plenty of simple puzzles as well. The time has come for more lush landscapes and plenty of castles! The Medieval period is home to fortresses with beautiful architecture and a few rather simple, religious art pieces. The music is reminiscent of Medieval times with lots of flutes and lutes, as well as a few old religious chants. These levels start fairly simple, but quickly picks up in difficulty, giving players more challenging and interesting puzzles. And now, the dark ages have ended, bringing us into the golden age of art and music! The levels have beautiful, yet simple landscapes, and stunning architecture even more gorgeous than those from the Medieval period! Religious themes still exist, and can be expressed in even more detail now, and terrain mixing is far more prevalent. The music too has gotten more beautiful, with classical music taken from Thomas Tallis, Giovanni Gabrieli, and other great Renaissance composers. The solutions are also beautiful and refined, if a bit difficult. A far more elegant and ornate style than the Renaissance period. The Baroque period features art that is more grandiose and emotional than the Renaissance period. Bold colors are used to create contrasts, and elements of nature show up in the architecture. 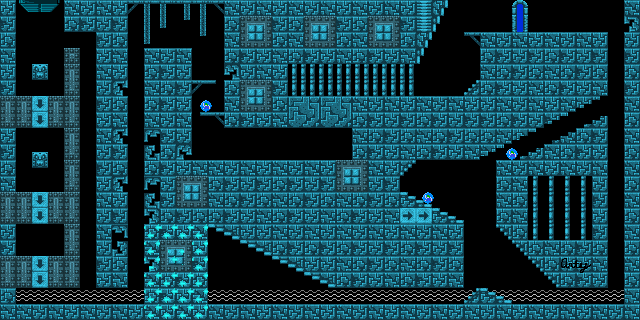 The levels themselves tend to be larger, with lots of decorative terrain. The music is also more elegant and complex than the Renaissance music, and many pieces from Bach and Vivaldi will grace the levels' presence. As for the levels themselves, the solutions are more complex and often require mild to medium multitasking. Here we start to see the contrasts in the art periods much better. NeoClassicism, or Classicism when talking about the music, differs greatly from the Baroque period. Scenes are more simple, shapes are more natural, and everything follows specific guidelines and rules, reflecting the changes happening in the world, as people become more focused on logic and reason than religious faith. Mozart and Beethoven are the stars of the music world now, and the pieces composed expound on the newly found range of the instruments, while still being quite natural and easy on the ears. Be prepared for even more intricate solutions now, and some deep thinking. Just as NeoClassicism contrasted Baroque art, Romanticism differs still more greatly from NeoClassicism. Romanticism focuses on emotion more than anything else, in both the art and music. Orchestras are getting bigger, songs are getting more complex and intense, and landscapes are breathtaking in their beauty. Each level attempts to convey a great variety of emotions, and puzzles are getting harder still, with larger levels being the norm. We have reached the final art periods now, and anything goes. Art is unpredictable, has no rules, and can take on any shape or form. Innovation and originality are the primary focus now! Experimentation is used in graphic sets, and not always in the pretty way. Music has been digitized and fully-evolved, with a larger variety of sounds and instruments now available. These puzzles are the hardest this pack has to offer. Best of luck to you all, because by the end, I am holding nothing back. I'll modify this post to keep the level count updated. If anyone has any classical music they'd really like in the pack, let me know! I may end up creating a level around it! I am also looking for people to volunteer help make custom art for the menu background, logo, rank cards, that kind of thing. PM me if you want to help! Impressive graphics and design! I suggest you the famous "Promenade" from the "Pictures At An Exhibition" suite (by Modest Mussorgsky) as music for a level. I think it would be very appropiate for the pack, since all that suite was inspired by actual pictures. is this going to just focus on western classical art or is there going to be art/music from other cultures? It will mostly be based off of the styles in the Western and European world, but the first rank does have levels modeled after African, south American, and Asian landscapes. These look very pretty. Hard as all get out, probably too much so for me, but that's the norm around here. Most of my levels don't look nearly this good. I subscribe more to the strategy of "throw stuff together and make the puzzle work because I'm lazy and can't be bothered to make it look nice." Also very yes you should use "Pictures at an Exhibition" for music at some point. Love that song. I wouldn't worry nin10doadict, I feel like that a lot when I see a lot of other people's level pack levels as well. I too feel that my levels suffer from lack of artisticness because I focus on making a puzzle work rather than how the level looks. 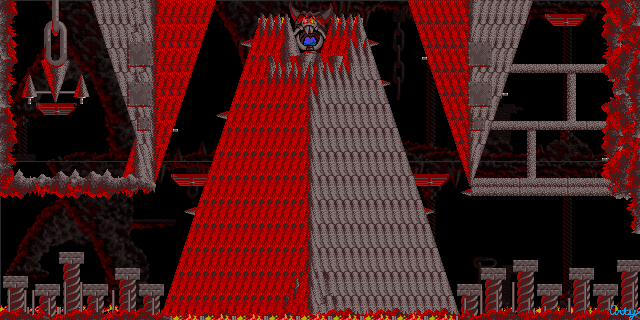 I think there are many different types of Lemmings level creators on here, some like to make their levels look visually appealing while making good levels and some don't focus on looks and make their levels stand out in other ways. Yes, Mussorgsky's "Pictures at an Exhibition" would be an excellent choice as background music, but I think you should try to find a way to also fit in Rachmaninoff's "Isle of the Dead", Hindemith's "Mathis der Maler", Granados' "Goyescas" and Respighi's "Botticelli Triptych" (all inspired by painters or paintings) in there. I actually don't think Classical music and Neoclassical music are the same thing. I think Neoclassical music is a musical period in the 20th century where composers of the era looked to the past for inspiration (Bach, Mozart and the like). Some good examples: Stravinsky's "Pulcinella" (and other works he composed around that time), Prokofiev's "Classical" Symphony", Respighi's "The Birds" and maybe Rodrigo's "Fantasia para un gentilhombre". In fact, 20th century classical music has a wide variety of styles, and Stravinsky actually wrote in quite a few of them. Impressionism is of course well known in both a visual and musical medium (Debussy and Ravel), and maybe you could even find a way to include an atonal composition (Schoenberg, Berg and Webern) in the pack. Overall this is an AMAZING idea for a pack and I will definitely keep an eye out for progress on it. Well, thank you! I always love hearing positive things about my pack! I am aware that NeoClassical music and Classical music are different. It's confusing because the Classical era of music happened at the same time as the NeoClassical era of art. I also know there are other music/art eras such as Impressionism, Modernism, post-modernism, minimalism, etc. but if I included all of those this pack will be in development until at least 2021! I'm kind of clumping them all into the Modern ranking. I could give quite a few suggestions, but I don't want to overload you, so maybe you could give an idea of how many pieces you've already chosen (and how many for each era)? For now, I'll just say that one of my favourites of Bach's compositions is the Prelude and Fugue in B minor: Wikipedia has a public-domain recording. I updated the third post to include music I am using in the pack. This pack looks really good so far! very artistic. Is this what that sample level from my stream was from? If so, then this pack will be crazy difficult too. Yes, Journey to Futility is from the Modern rank. It's currently level 3, but it will be pushed up once I make more levels. Rest assured, this pack is not for beginners, but it still has enough "easy" levels that anyone can enjoy some of it, but only experts will be able to complete it. 1. The Nutcracker, Op. 71: Overture (note that this song also appears in Sega Master System Lemmings). Also, does Scott Joplin's music work in this pack? You've heard these songs in my gameplays of Chip's Challenge. Songs like "The Entertainer", "Maple Leaf Rag", "The Ragtime Dance" , "Something Doing" (also in NepsterLems), and "Wall Street Rag" come to mind.